Flies and other insects are a persistent problem during the warmer months. They also pose health risks which is why installing adequate screens for outdoor areas is so important. These are designed to effectively keep bugs out, while allowing you to enjoy the cool breeze on a nice day. Acts as a , cottonwood seeds, etc. These screens are magnetically sealed against windows and doors, making it so that it is almost invisible. No ugly bulges or protrusions to be seen, while providing protection for your house from bugs and insects at all times. Our products are certainly made to share the qualities mentioned above. We proudly offer technologically advanced screen products, designed to keep out mosquitoes and other insects while flawlessly blending with your home interior design. The screens are properly flexible and almost invisible. You can simply peel the screen back to open and close your window. They blend nicely with many types of windows while providing easy access to operate and clean your windows. These screens are easy to remove and fully washable. Safety and the ability to be cleaned with ease is always a top concern for windows requiring ladder access. Our screens enable effective and convenient cleaning from inside your home. This is also an equally important feature as no one likes dusty screens blocking their windows. Ideal for windows with shutters security bars and grilles, this product range is made to be suitable for all frame materials, including wood and aluminium via self-adhesive magnetic base strips. We also create screens that also adapt to European style PVC double glazed windows which do not have screen provisions. It is widely accepted as an absolute discreet screen solution for all types of windows, and an amazing choice to unsightly aluminum fixed screens or for hard to screen windows. This type of screen is a very popular alternative for residences, as they can be installed on existing windows and are very straightforward to use. Do not waste your money and time on something with low quality as shown on low budget TV sale programs. Those products are often made with low quality materials and will likely fall apart quickly. You do not really save money by buying those products and could end up spend more to replace them. As our priority is to make sure all products are unbeatable in both functionality and design, our screens are made from top material ensuring them to be sturdy, reliable, and adaptable unnoticeable when installed. Do not hesitate to contact us about our magnetic fly screen solutions in Perth and Western Australia. What Make Us a Great Choice For Fly Screen? Freedom Retractable Screens has extensive industry experience with providing quality insect protection screens for residential and commercial properties. From our establishment in 1999, we have since grown to be an industry leader with over 18 distributers nationwide. We always take innovation and quality very seriously. 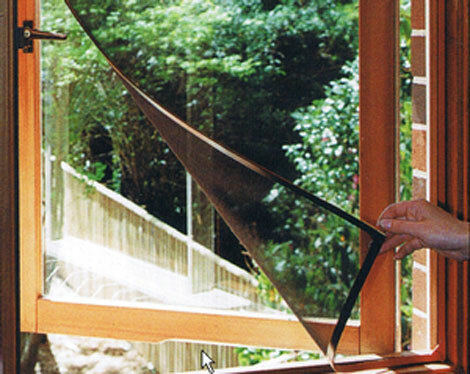 We are keen to grow to become a sought-after insect screens provider on both national and international ground. We manufacture our products in Perth, and distribute them to most country areas in Western Australia through our 13 distributers state wide. Call us today on 9244 7436 to request a free measure and quote. Please leave any details below and we will get in touch with you as soon as we can!